Claim DoubleU Casino Bonuses, Gifts, Rewards Links . 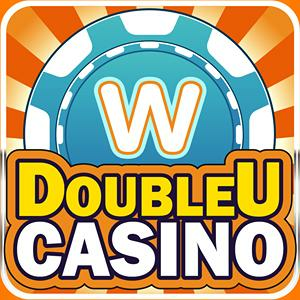 Claim DoubleU Casino Gift, Bonuses Links Shared By Gameskip Premium Users. $84,800 Bonus Chips for the 5 Early Birds! DoubleU Casino Hooray! Mega Win on mysticchina slot! $30,000 Free Chips for the first 5 clickers!! $45,000 Free Chips for the first 5 clickers!! Congratulations! Super Win on Fierce Owl! $15,000 Free Chips for the 5 Early Birds! $60,000 Free Chips for the first 5 clickers!! Congratulations! Big Win on Fierce Owl! $30,000 Free Chips for the first 5 clickers! $45,000 Free Chips for the first 5 clickers!! Congratulations! Big Win on Piggy Bucks! $60,000 Free Chips for the first 5 clickers!! Congratulations! Big Win on Piggy Bucks! $45,000 Fortune for the first 5 clickers! $60,000 Free Chips for the first 5 clickers! $60,000 Free Chips for the 5 Early Birds! Congratulations! Big Win on piggy bucks slot! $152,000 Free Chips for the first 5 clickers! $10,000 Free Chips for the first 5 clickers! $15,000 Fortune for the first 5 clickers! $20,000 Free Chips for the first 5 clickers! $10,000 Free Chips for the 5 Early Birds! Congratulations! Big Win on gold rush slot! You can claim DoubleU Casino item links by just clicking on it or by using checkbox and collect button. To filter all DoubleU Casino items by clicks and names visit Filter page. Each material shared by you will be claimed by everyone and in return it gives you the same number of that item by each user. For example: (your 1 submitted item) + (has got 5 clicks by others) = (You will get 5 same material into your DoubleU Casino game) Remember your sharing will increase your chances to get more of same DoubleU Casino item.